Young people in County Mayo will have an opportunity to learn robotics and computer programming this summer thanks to Castlebar entrepreneurs, Niall McCormick and Colmán Munnelly, founders of Colmac Robotics Ltd, an Irish educational technology start-up in the field of robotics education. The Learn Robotics Summer camps are aimed at children aged 8 - 14 and will be based on LEGO Mindstorms NXT robotics and the FIRST LEGO League. The two week long courses in St. Gerald's College, Castlebar, start on June 24th. The course teaches several different subjects at once; computer aided design, electronic engineering, mechanical engineering, physics, computer science, maths as well as a host of practical skills. • Provide a platform for children to learn about robotics, electronics, mechanics and computer programming in a fun way using the LEGO Mindstorms NXT kits. • Promote science, technology, engineering & maths (STEM) subjects in schools. • Promote the growth and development of the FIRST LEGO League and other robotics competitions in Ireland, in association with Robotics Ireland & the Galway Education Centre. The camps will run from 10am to 2pm, Monday to Friday. A different topic will be introduced each day and a competition will be held at the conclusion of the week. Children will work in pairs under supervision, with a robotics kit and laptop running NXT software. Niall McCormick explains: "Children learn by doing. We will explain concepts to them using visual aids such as videos and live demonstrations. We will facilitate them to build the robots themselves. In the process, they are applying science, technology, engineering and maths skills, demystifying the process and developing their confidence and interest in this area. Courses are also taking place in the Galway Education Centre and in Dublin in conjunction with Trinity Science Gallery & Engineers Ireland. Contact information for Colmac Robotics. 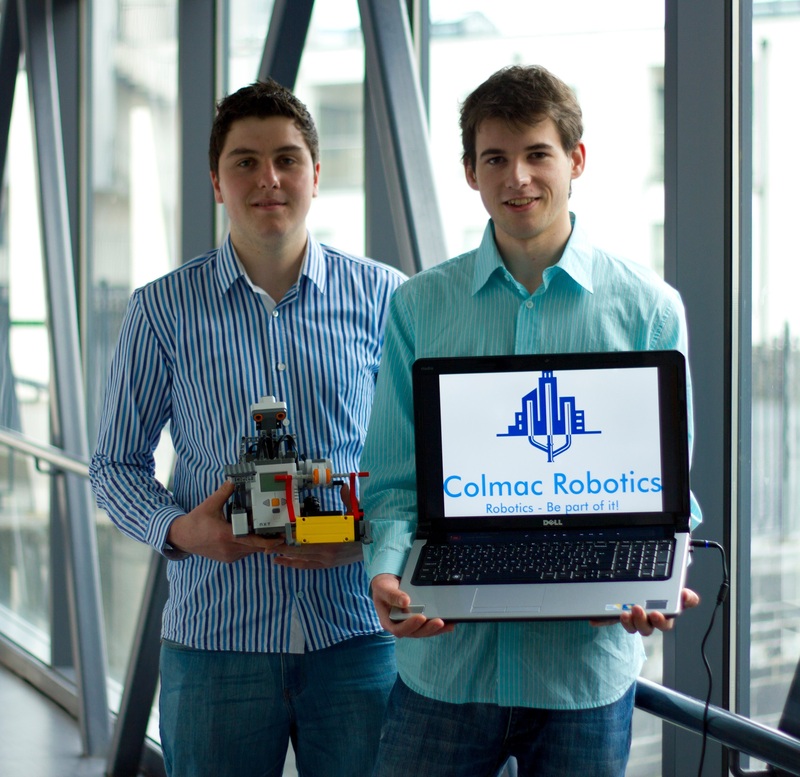 Pictured are Niall McCormick and Colmán Munnelly, Castlebar, founders of Colmac Robotics Ltd, an Irish educational technology start-up in the field of robotics education. Photo: Ger Duffy Photography.